Justin is a regular guest speaker at universities, medical centers and hospitals throughout the United States. His lecture topics include finding a job, succeeding in employment interviews, physician contract negotiation, physician compensation packages and financial planning. 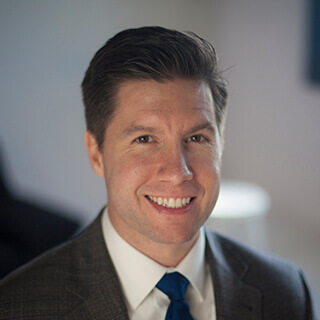 Justin enjoys the role he plays in supporting physicians nationwide, bringing business sense and innovation to the medical community, while building resources for physicians that can help them make better decisions. In his free time, Justin enjoys spending time with his wife and three children. He has been involved in mentorship programs, is active in his church, and enjoys keeping up with public policy. He’s also an avid travel fan and likes spending time outdoors. Dave began his career in financial advising in 2006 as he became more aware of the amount of stress finances can have in people’s lives. Dave helps physicians fully utilize their resources so they can focus on their patients and better enjoy their time away from work. 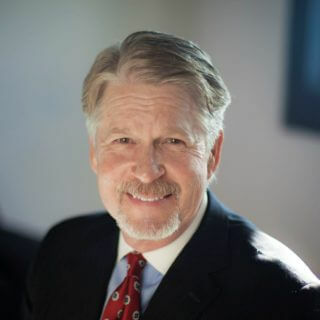 He is registered with the Securities and Exchange Commission, owns Series 7 and 66 licenses, holds the Life, Health and Annuities insurance licenses and is currently pursuing his Certified Financial Planning® designation. In his time away from the office, Dave enjoys spending time with his wife and two kids. He’s involved in their church, enjoys the outdoors, and staying active. Michaela Mestl graduated from Wayne State College with a Bachelor of Science in Business Administration and a concentration in Finance. While at Wayne she was a four-year starter for the nationally ranked volleyball team, which made an appearance in the Final Four. She thrives off building relationships and helping clients achieve peace of mind when it comes to their finances. 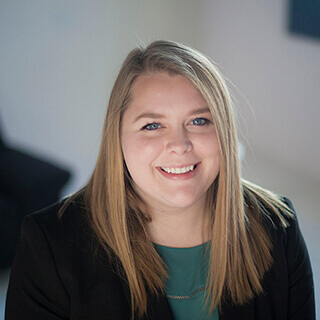 Michaela enjoys working with residents, fellows, and practicing physicians in order to educate and further their knowledge on the topics of tax reduction, insurance planning, contract review and negotiations, financial planning, and retirement planning strategies. Outside the office, Michaela loves being active by playing with her dogs, roller blading, biking, and competing with her husband in any and all sports. 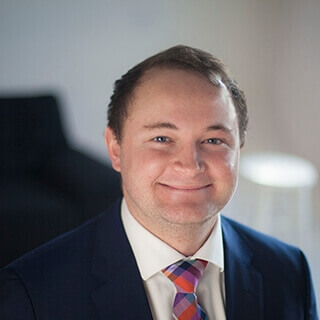 Michael has over 5 years of experience in the financial services industry which has fueled his passion for helping new physicians understand the importance of contract review, financial, insurance and retirement planning. He is the American-born son of Cuban immigrants and a Florida native from Miami. In 2012 he moved to Nebraska to work in farming and cattle ranching, but he soon landed in Omaha and started studying at the University of Omaha’s College of Business. His aptitude for the industry has earned him several awards, including the Master Builders award with Mutual of Omaha in 2015. While he’s not in the office, Michael likes to spend his time outside, especially when it involves hunting or golfing. He’s gone abroad on several mission trips, including to Mexico and Honduras. Michael currently lives in Omaha with his wife, Lindsay. 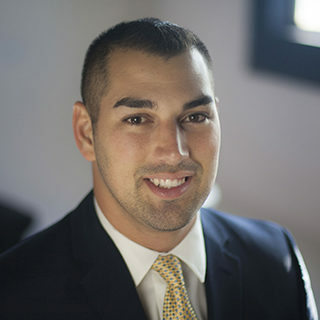 David Nabity began his career in the insurance business at the age of 19 and opened his own agency at 24. As a result of working with many physicians throughout his career, David has developed great skill assisting physician businesses with estate, investment and retirement planning. David studied at the University of Nebraska–Omaha, and obtained his financial designations, including CLU and ChFC, through the American College in Bryn Mawr, Pennsylvania. 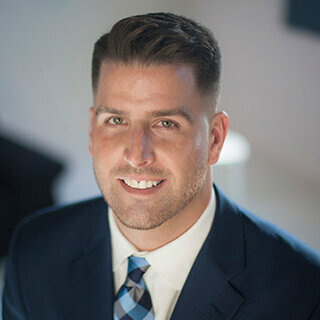 He also holds the prestigious LUTCF designation, which he achieved through the rigorous course administered by the National Association of Insurance and Financial Advisors (NAIFA). David’s passion is working with physicians to help them solve many of the financial and career problems they face. He is zealous about the issues facing business owners in general, and he often speaks at public seminars on business, investment, and financial planning. David and his wife have seven children. Andrew Graduated studied and played on the men’s golf team at Creighton University. In December 2017 he graduated with a Finance and Economics degree and has been interning with Physicians Thrive since May 2017. Coming from a family who practices medicine, Andrew understands he time commitment and effort it takes to work in the field of medicine and wants to be able to work together to reach their goals. Currently, Andrew is studying to receive become a Certified Financial Planner. Outside of work and studying, he enjoys golfing, skiing, and spending time with friends and family. Reid Lancaster holds a bachelor of science in Business administration/finance and marketing with a minor in psychology from Wayne State college where he was a four year starter on the baseball team, standing as team captain his junior and senior year on a national championship contending team. He was named national player of the month multiple times and thrives in his leadership ability within a team. He has been involved in the financial industry since 2011 and holds a life and health insurance licenses. 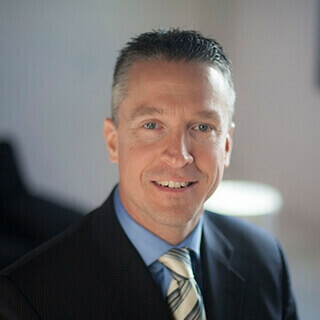 He now serves as the Chief Operating Officer for Physicians Thrive and is passionate in serving our clients in an effort to create financial peace in the lives of those who treat and save lives for a living. In his free time he is involved in mentor-ship programs and is active in his church. He enjoys spending time with family and friends, outdoors-man by nature and enjoys the competition of athletics. Betsy Rubendall manages the day-to-day operations at Physicians Thrive, administratively supporting her colleagues so they can effectively provide our clients with the best possible outcome in all areas of their professional lives. Prior to her current role, she was the manager of our Contract Review Services, aiding physicians in obtaining favorable employment contracts. 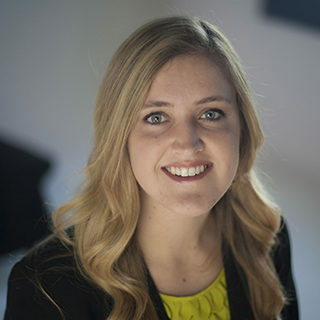 She has a Bachelor of Arts degree in Psychology from the University of Nebraska in Lincoln which she uses when coordinating between outside vendors, business advisors, colleagues, and clients. Betsy has extensive experience in the administrative world where she served as the office manager of a thriving local insurance agency and later as the assistant to the VP of Sales for an international manufacturing company. Betsy has been married to Darren for 15 years and they have 2 daughters, a cat, and a border collie. She enjoys cheering at her girls’ soccer games and dance recitals, serves on the Board as the Troop Treasurer of their local American Heritage Girls troop, dog training, and being active within the family’s church body. Becky assists Physicians Thrive clients by servicing new accounts and existing policies while also managing the underwriting process. She works as a liaison between the advisors to coordinate consultations with clients and advisors. Also, she participates in responsibilities for team charitable initiatives. 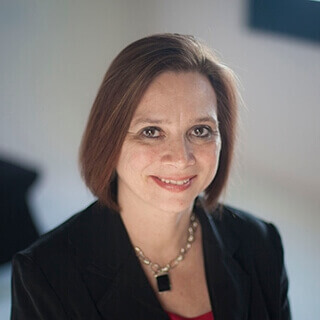 Prior to working with our team, she worked in the medical billing industry for over 14 years. She enjoys traveling and running marathons; both locally and internationally. She also enjoys motorcycle riding with her husband Bryan and has two grown children. 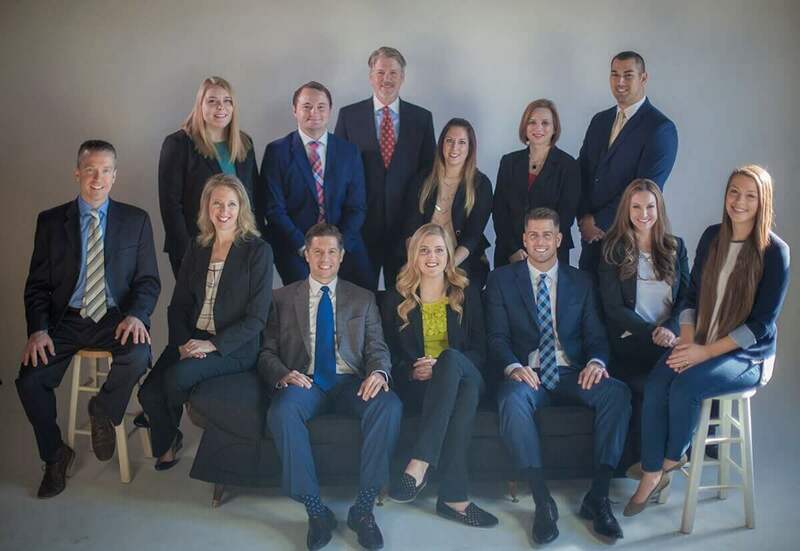 Kersten assists clients by opening new accounts and policies, handling account processes, scheduling consultations with advisors, managing the underwriting process, and interacting with carriers to help ensure the best possible outcomes for all clients. During college, Kersten enjoyed doing work that allowed her to develop rapport, closeness and friendships. 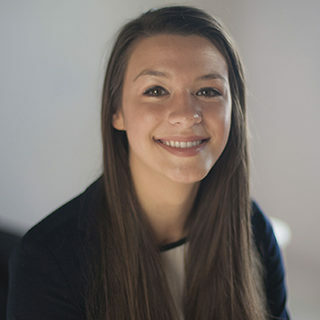 Her love of personal relationships and serving others led her to pursue a Bachelor of Arts degree in Psychology from the University of Nebraska at Omaha. In her spare time, Kersten enjoys serving at her church, spending time with family and friends, and you can find her participating in anything active including playing on Omaha’s Ultimate Frisbee league year-round. 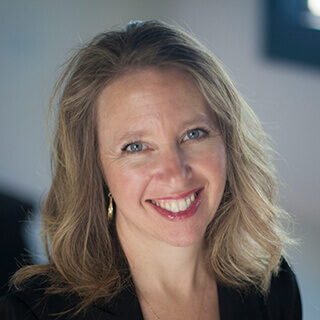 Bridget oversees public education for Physicians Thrive and is driven to create awareness for how physicians can prepare for the future with confidence. Physicians Thrive’s passion for helping physicians and their families is what drew Bridget to joining the team. She studied advertising at the University of Nebraska Lincoln and graduated in 2016 with a Bachelors of Journalism. She has been helping local businesses and entrepreneurs with their public relations and outreach since 2014 and continues to do so in her free time. Outside the office, Bridget is involved in her church and working with refugees in the community. She also likes to go hiking and fishing with her husband, David.